Constructed of beautiful natural wood veneers over "Highest quality Grade E1 MDF". 8-stage painting and finishing process. Modern wall mounted installation. Deep doweled drawers. Side-mount drawer slides. Soft-close doors. Concealed door hinges. Pure white glass counter with large semi-recessed porcelain sinks. Single-hole faucet mount. 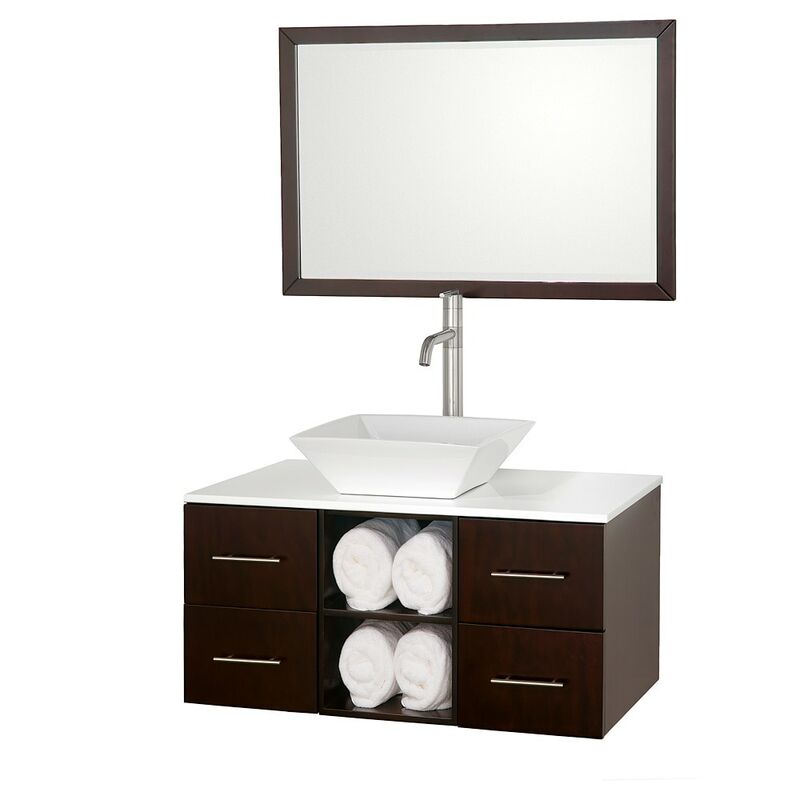 Dimensions - Vanity: 36" x 21" x 23.5"; Mirror: 36" x 1" x 24"